China since the early to mid-1990s has been steadily building a modern and powerful navy. 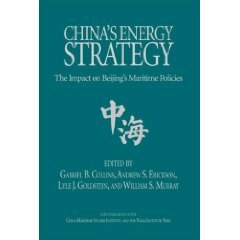 China’s navy in recent years has emerged as a formidable military force within China’s near-seas region, and it is conducting a growing number of operations in more-distant waters, including the broader waters of the Western Pacific, the Indian Ocean, and waters around Europe. The question of how the United States should respond to China’s military modernization effort, including its naval modernization effort, is a key issue in U.S. defense planning. 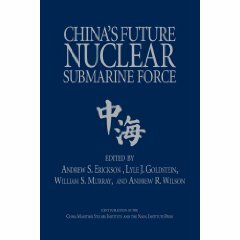 Observers of Chinese and U.S. military forces view China’s improving naval capabilities as posing a challenge in the Western Pacific to the U.S. Navy’s ability to achieve and maintain control of blue-water ocean areas in wartime—the first such challenge the U.S. Navy has faced since the end of the Cold War. 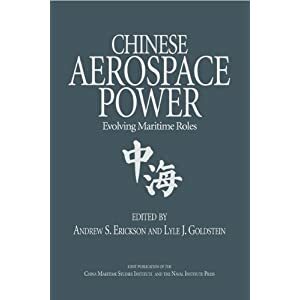 More broadly, these observers view China’s naval capabilities as a key element of a broader Chinese military challenge to the long-standing status of the United States as the leading military power in the Western Pacific. 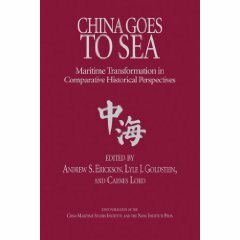 Observers believe China’s naval modernization effort is oriented toward developing capabilities for doing the following: addressing the situation with Taiwan militarily, if need be; asserting or defending China’s territorial claims in the South China Sea and East China Sea; enforcing China’s view that it has the right to regulate foreign military activities in its 200-mile maritime exclusive economic zone (EEZ); defending China’s commercial sea lines of communication (SLOCs); displacing U.S. influence in the Western Pacific; and asserting China’s status as a leading regional power and major world power. Consistent with these goals, observers believe China wants its military to be capable of acting as an anti-access/area-denial (A2/AD) force—a force that can deter U.S. intervention in a conflict in China’s near-seas region over Taiwan or some other issue, or failing that, delay the arrival or reduce the effectiveness of intervening U.S. forces. Additional missions for China’s navy include conducting maritime security (including anti-piracy) operations, evacuating Chinese nationals from foreign countries when necessary, and conducting humanitarian assistance/disaster response (HA/DR) operations. whether the Navy, in response to China’s maritime A2/AD capabilities, should shift over time to a more distributed fleet architecture. The following Japanese translation was performed by Dr. Hirota Megumi, Naval Ship Magnetic and UEP Research Committee, and is published here with the translator’s permission.